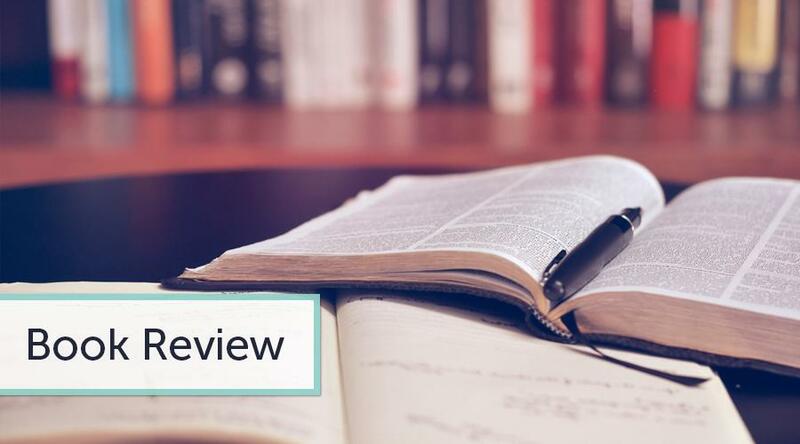 As you are getting ready to write a successful book review, you can choose a book on your own or use the recommendations provided by your teacher. If you are allowed to choose a book, make sure it is interesting. In addition, it should not be too long. Of course, if you have a list of books to choose from developed by your instructor, stick to it. Otherwise, you will not earn the best possible grade. All successful book reviews should be written professionally and objectively. To accomplish this task, you will need to read your book thoroughly and avoid any bias in your judgments. As you are reading through the book for the second time, be sure to highlight the most meaningful passages and include them in your review. Finally, for a great book review, you should be ready to consider what other scholars have ever said about the book. Explore the most relevant literature and familiarize yourself with other people's opinions about the book you have chosen. It is better if you do it, after you develop your own opinion about the book. Start with an introduction. Use it as an opportunity to introduce the subject of your book review essay to the reader. Include some background information about the book itself, its author, and setting. Consider the factors, which led to the creation of the book. Outline the key events or subjects covered by the author. You may also evaluate the impacts the book has had on society, if possible. Think of what the book means for the reader. Now switch to writing the body paragraphs. Include a brief review of the key characters, their features and attributes, and their overall role in the story. Summarize the plot. Finally, develop a strong conclusion in which you summarize the contents and offer recommendations for your readers. Justify your opinion. In writing book reviews, do not forget to support your opinions and claims with evidence. You can take it either from the book itself or from other scholarly sources. Do not use slang and conversational language. A book review essay is a formal academic assignment, which is why your language should be academic and correct. Do not forget that you must include full information about the book, its author, title, date and place of publication. Your readers should be able to find the book. Consider the needs of your audience. Make sure that the book you have chosen does not seem boring or too complicated for your readers. To become a success in writing, you must read the whole book, not just some chapters or pieces. Do not include long quotations from the book. Paraphrase as much as you can, while staying logical and focused on your topic. If you are a bookworm or you just look for something to spend your time on, check out news in the book world and read expert book reviews! Animal Farm, a fictional masterpiece of George Orwell, was first published in the year 1945. It is inspired by the scenes and political injustice pertaining to the Russian Revolution and the Second World War (Orwell, 2011). The book was published by Secker and Warburg in London, England. The book centers on the political settings of the government and how the common man suffers, irrespective of who the President or the governor of the state is. The novel falls into the genres of dystopian, allegory and political criticism (Orwell, 2011). The author would have decided to write this novel to shed light on the brutality and injustice of the political leaders and the sufferings of common people. The story starts with Mr. Jones, who is the former owner of the farm and enjoys all the fortune that comes from the eggs, milk and meat of animals of the farm. Old Major, a white pig, is the most senior animal on the farm and is respected by all other animals. He is the one who ignited the fire of rebellion into other animals of the farm, the night before his demise. Snowball, another member of the pig family, is the honest and affectionate disciple of Old Major who believes in equal rights for all animals as well. Napoleon pig, the rival of Snowball, wants the throne of the farm to be in his hands. He later expels Snowball out of the farm with the help of his trained dogs (Orwell, 2011). All the characters used in the book are based on fiction, and animals on the farm delineate the common people of the society. The novel maintains great interest and curiosity till the very end, with each stage drawing attention on how society rules are changed by the ones in power for their own comfort and benefits. Boxer is portrayed a dedicated member of the society, who works from dawn to dusk and desires the prosperity of the state. However, the end of Boxer is very devastating. He was handed over to the butchers when he grew old and lost his power of working. The story starts with the commandment of “Four legs good, two legs bad”, explaining that all men are enemies of animals, and ends with the commandment of, “Four legs good, two legs better” when any difference between the ruling pigs and men is barely noticeable (Orwell, 2011). I liked the book due to its simple language and narrative technique used for illustrating the political setting rather than using jargons and theories for explaining. The message in the book is pertinent to the political practices and injustice in today’s society, and, therefore, its significance and implication has not declined even till today. As a rule, book reviews aim at providing evaluation of works that have been recently written. They describe the major ideas of the text and also focus on its strengths and weaknesses. Frequently, readers may confuse book reviews with book reports, so it is crucial to point out their main differences. Unlike book reviews, book reports only provide a description of the main events that occur in the book. Their purpose is to narrate about the plot, idea, and the main characters. Usually, writing a book report is a common K-12 assignment. Such writing task usually ranges from 250 to 500 words. If you get an assignment to provide a book report, you may read the guide on our website. On the contrary, book reviews belong to most frequently assigned college writing tasks. You can find examples of book reports on the Internet, in newspapers, magazines, and academic journals. How long should a book review be? Typically, a book review comprises of 500-750 words. Whereas a book report is a more descriptive task, a book review deals with critical analysis and evaluation of the book or text. We understand what it is advisable to take into account all the elements, which can include into your book review. As usual, the following ideas are author, genre, title, preface, introduction, page of contents, printing, cover, book jacket. Our high quality writers organize the summary part or the background section of your review. Do not afraid - all key ideas/ facts/ names/ characters/ themes we will find and present to you in an excellent book review with providing a brief and concise summary of the literary work. Also we know how to highlight main secrets and interesting plot twists of the book. For many years our writers have been provided the basic ideas on the plot and express opinion of the book in full detail. Be sure that in your Book Review will be providing the necessary minor characters and analyze all necessary details. All the book reports are plagiarism free. If you have any questions how to buy a paper or essay in our service, our customer support available round the clock to help you. You will make the right choice if you trust your book reports to our professional writers.